Two thousand seventeen and 2018 were light tornado years across the nation. 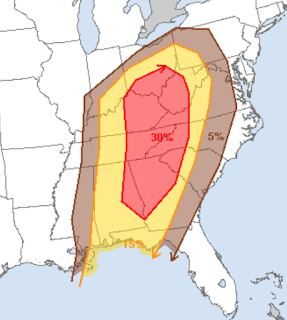 It has been quite a while since we have had consecutive days with serious tornado potential. Unfortunately, it appears Saturday and Sunday will qualify. When interpreting this chart, 15% (yellow), which includes Houston, Dallas, and Mobile, is the significant threshold. 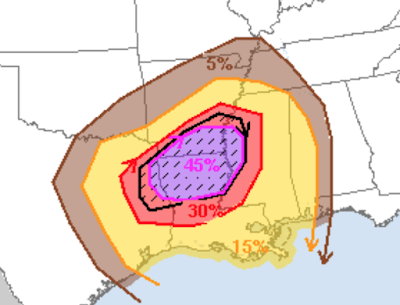 The enhanced threshold is 30% (red) and the high risk area is 45% (purple) which includes Shreveport, Monroe, Greenville and Vicksburg. The hatched area is where violent tornadoes may occur. In this type of tornado situation, it is entirely possible the storms will be "rain-wrapped" and virtually impossible to see. Please act on the warnings, not going outside to look. 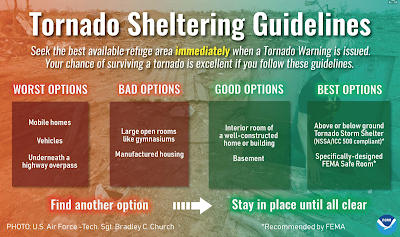 If you live in a mobile home, please arrange alternative shelter for the time a tornado watch is in effect. 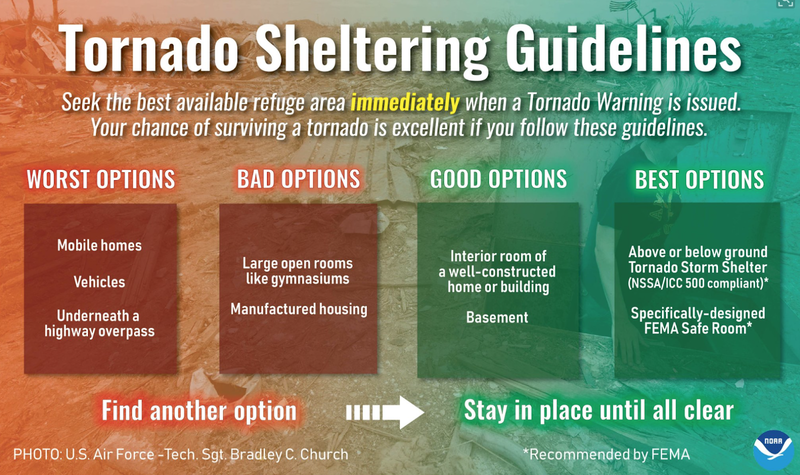 My personal sheltering choice is the basement under the stairwell or inside our small basement bathroom. And, yes, even though I am a meteorologist, I take shelter during a tornado threat! 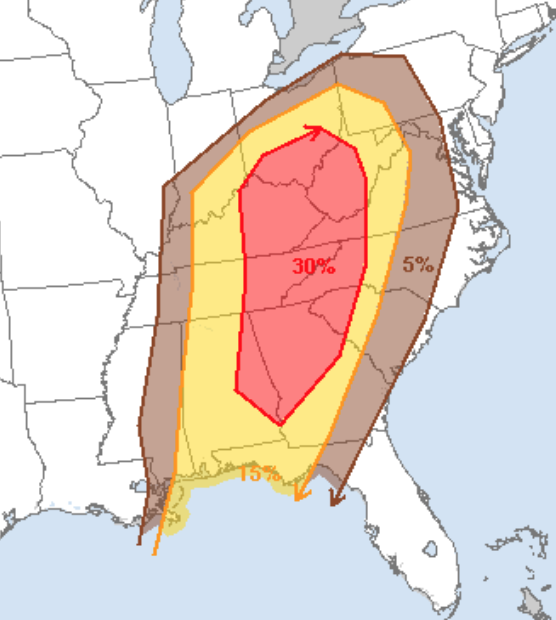 While not quite as serious as Saturday's risk, there is an enhanced risk of severe thunderstorms with damaging winds and a few tornadoes from Lake Erie to the Gulf. The colors have the same meaning on this chart as the chart above.